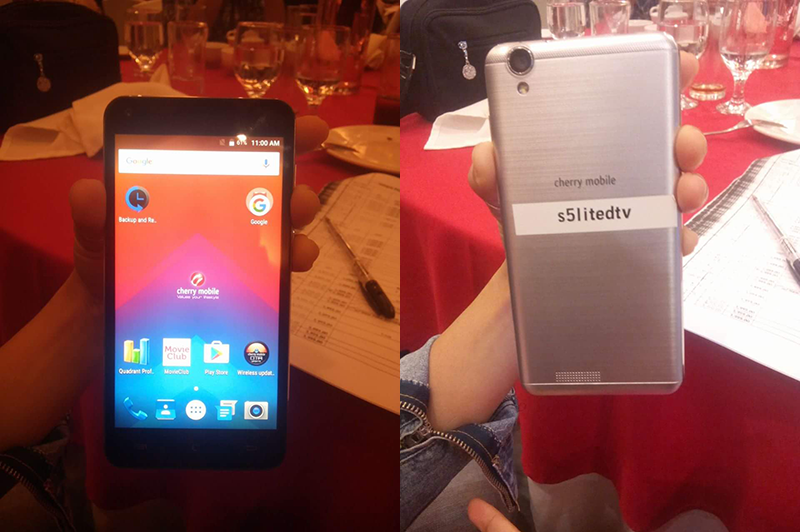 Cherry Mobile Flare S5 Lite DTV Showcased, Equipped With DTV For PHP 2999! Home / cherry mobile / mobile / news / Cherry Mobile Flare S5 Lite DTV Showcased, Equipped With DTV For PHP 2999! In a certain Cherry Mobile provincial roadshow, the company has revealed some of their newest line-up for the 4th quarter of 2016. One of them is the entry-level Cherry Mobile Flare S5 Lite DTV. As the name suggest, the Flare S5 Lite DTV is equipped with Digital TV capability for watching TV's on the go. It's sports with a 5 inch HD screen with a resolution of 1280 x 720 pixels, 1.3 GHz MT6580 quad core processor, Mali 400 GPU, 8 GB of expandable storage, 13 MP main camera, 5 MP selfie camera, and loads with Android 6.0 Marshmallow OS right of the bat. The phone has an SRP of PHP 2,999 only. Availability and the rest of the missing details will be confirmed soon. Thanks for the tip DC Sumcio!